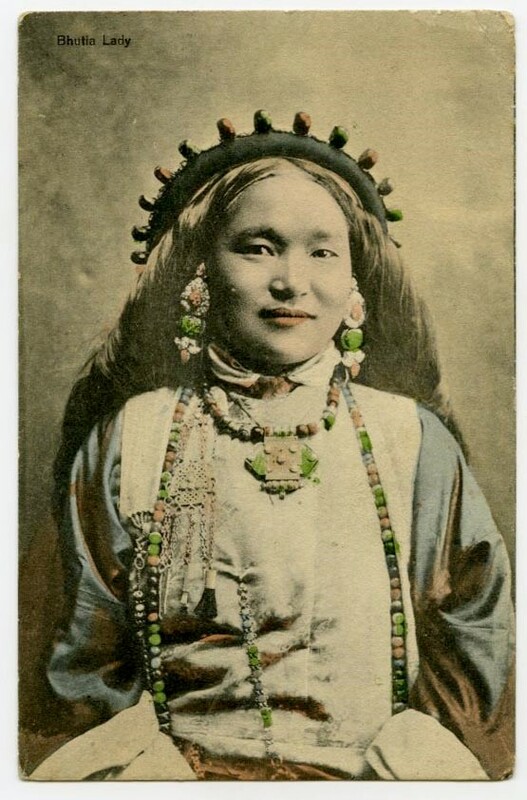 It is well known that from the 1860s onwards, individuals from all over the Indian subcontinent were photographed and classified according to ethnic, religious, and caste criteria, and thereby reduced to ‘type’ within the colonial anthropological project. This paper examines a parallel but neglected phenomenon of the late nineteenth century: the production of ‘type’ photography in commercial studios in the Himalayas and its reception in the ‘visual economy’ of the British Empire. By paying close attention to the activities and outputs of photographic studios and considering them as sites of transcultural encounter rather than of strict segregation between coloniser and colonised, I seek to reverse the process of ‘type’-casting that was inflicted on the local actors who performed within them. Historians of the First World War have recently turned their attention to ‘personal photography’: the taking of photographs with privately owned portable cameras, and the disposal of the resulting prints in personal photograph albums or collections. The paper will contest the notion that this wartime phenomenon was without precedent by comparing First World War practice in Egypt with the way early portable cameras had been employed by British officers participating in the 1898 campaign to defeat a jihadist uprising in Sudan. The paper will examine how privately owned portable cameras were used in the Sudan, and trace the public afterlife of photographs returned to Britain. 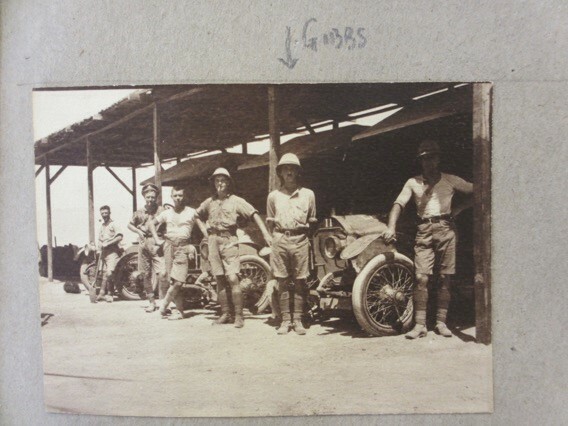 It will then turn to the personal photography of members of the Royal Flying Corps based in Egypt during the First World War. It will explore the impact of the proliferation of camera use to include soldiers of all ranks, not least the potential to present life on active service from new social perspectives. Les Quais, Smyrne (1919) In: L’Image de la Grèce. Smyrne. Boissonnas, 1919. 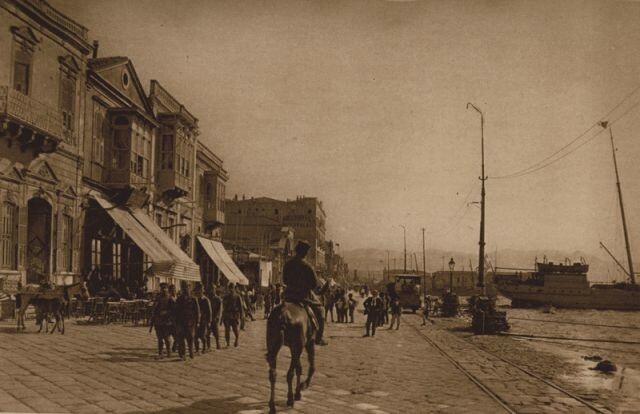 Two photograph albums by the Swiss photographer Frédéric Boissonnas and his son Edmond-Edouard, Salonique et ses basiliques (1913) and Smyrne (1919), capture Salonica (Thessalonika) and Smyrna (Izmir) at crucial turning points in their histories before a chain of events ignited Greek and Turkish nationalism leading to their near destruction. While maintaining an awareness of the ‘locatedness of memory’ within a national context (Radstone), the albums, with their clear focus on Greek-Christian national identity and heritage, arguably function as carefully designed propaganda tools, the aim of which was to create a memory that would travel transculturally (Erll) around the world gaining support for Greece which hoped to unite all the Ottoman lands with Greek populations into a single Greek state, whose capital would be Constantinople. Greece’s ‘Great Idea’ may have died in the flames of Smyrna, but it lives on in the Boissonnas albums and their online presence.